There will be scheduled maintenance on 10/10/2017, Tuesday beginning at 9:30 p.m. (PST). We expect the website to be off-line for about 1 hour. We apologize for the inconvenience. More Bids & RFPs Than Any Other Source! Convert your specs into an online material standards manual designed to save your utility time and money. 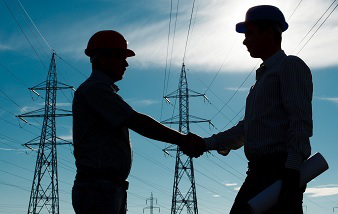 Join utilities using their group purchasing power to get lower energy rates. Get your share of the $100 billion water and wastewater utility market – sign up with H2bid today! The Water Network - the largest knowledge sharing platform and business exchange for global water professionals. 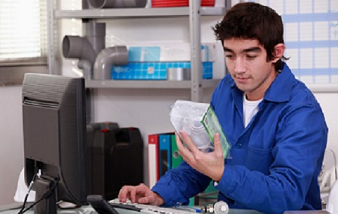 Increase your sales by leveraging your UL Certification. H2bid helps us win multiple contracts every year, resulting in multiple millions of dollars of work for us each year. I am a business development specialist in the constuction and public works sector. My job is to track and discover new projects that could lead to revenue for my company. I have used H2bid for the last 5 years for this purpose. H2bid helps us win multiple contracts every year, resulting in multiple millions of dollars of work for us each year. I find this product easy to use and easy to tailor my needs. Its "look" is clear, concise, and accurate. I also like the "at a glance" feature H2bid provides with my daily email alerts. There is not a lot of wasted time sorting through endless project lists. Because of my search criteria, I get the project information in the states I want in an easy, quick-to-review format. If I want to drill down on a a project, it's as simple as point and click. How great is that? If you or your company are looking for a great project tracking platform that is easy to use and competitively priced, you can't go wrong with H2bid! Copy the code and place it in your website without making any changes. No bids are available currrently. Sealed bid for Reconstruction Of Lift Station No. 35 Project, Texas. Sealed bid for Install Sump Pumps In Existing Electrical Junction Boxes Project, Texas. Sealed bid for Berry Road Street Improvements,Missouri. Sealed bid for Proposed 8-Inch Sanitary Sewer Project, Texas. Sealed bid for Sanitary, Storm Sewer Street ID No. 2019-1 & 2019-3, North Dakota. Sealed bid for Kentucky Drive Improvements Project, Texas. Sealed bid for Water Main Replacement At The Old Armco Steel Site On Wilson Road,Missouri. Sealed bid for Southside Drainage Improvements Flood Mitigation Project, Minnesota. Sealed bid for Water System Improvements, Montana. Sealed bid for Civic Center Wastewater Treatment Facility Phase 2, California. Sealed bid for Water Softener Preventive Maintenance & Solar Salt, Texas. Sealed bid for Advanced Metering Infrastructure (AMI), Texas. Sealed bid for Boyd Boulevard Sewer Separation Project, Indiana. Sealed bid for Fire Hydrant Parts and Hoses, Texas. Sealed bid for Haikey Creek Wwtp Activated Sludge Management Rehabilitation, Oklahoma. Sealed bid for Windrose Utilities Project,Minnesota. Sealed bid for Secondary Booster Pump Stations ? Cycle H, Ohio. Sealed bid for Chemicals Calcium Oxide, Oklahoma. Sealed bid for Stormwater Management Retrofit and Bridge Superstructure, Maryland. Sealed bid for Hoyt Rd. And Lords Mill Rd. Culvert Replacement, New Hampshire. Sealed bid for Blakely Mountain Intake Site Preparation, Arkansas. Sealed bid for Water Treatment Plant No. 1 High Service Pump No. 5 Replacement Project, Texas. Sealed bid for 2019 Annual Water Distribution Leak Repairs, Package VIII Project, Texas. Sealed bid for Piney Run Reservoir Water Quality Monitoring Program, Maryland. Sealed bid for 2019 Annual Water Distribution Leak Repairs, Package V Project, Texas. Sealed bid for 2019 Annual Water Distribution Leak Repairs, Package VI Project, Texas. Sealed bid for Timberland Water Interconnection & Distribution System Improvement Phase 1 Project, California. Sealed bid for Water and Technical Rescue Items, Texas. Sealed bid for Sodium Hexametaphosphate,Michigan. Sealed bid for Cyanide Analysis Instrument, Massachusetts.